Gone are the days where I wanted matte finish skincare products. Now, I am all about products that will plump and pack moisture back into my skin (just minus the residue). Hence, why I am absolutely living for these products that I am about to mention! 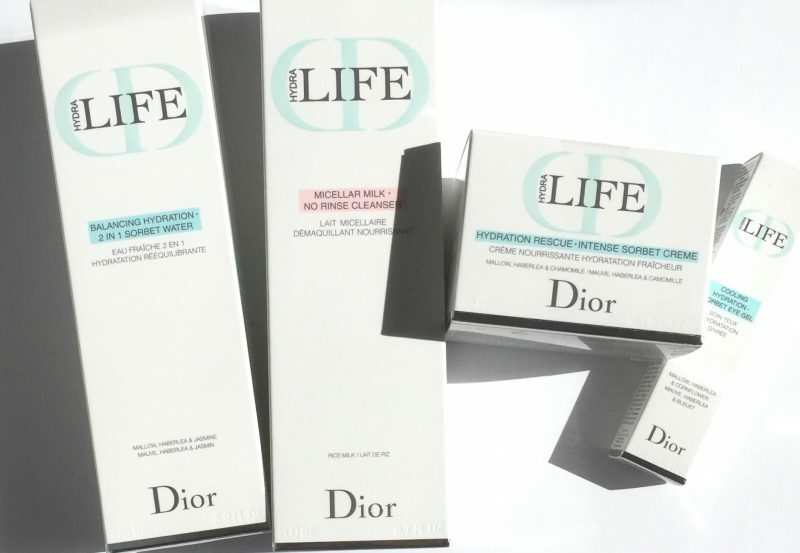 Dior Hydra Life is a skincare collection comprising of 83% natural ingredients. The formulation has been tweaked and made even better than its original release in 2017. 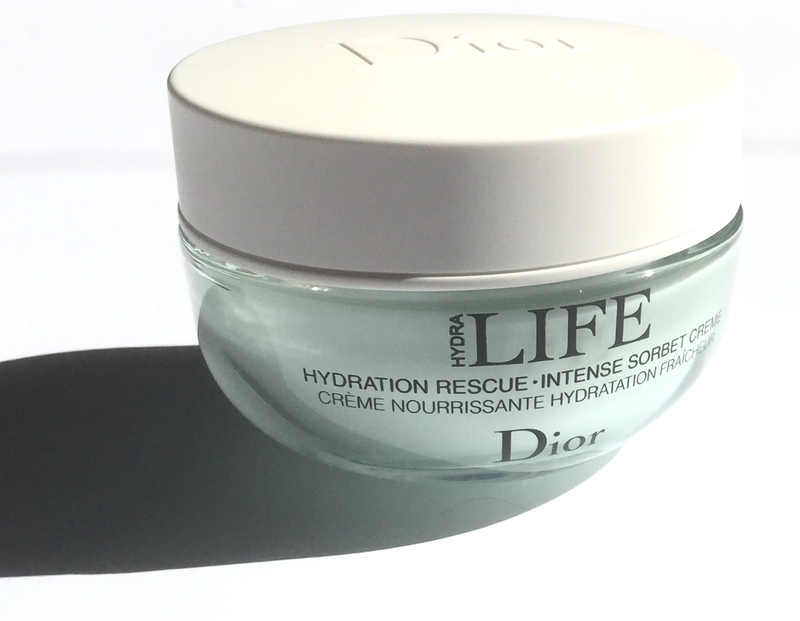 Dior Hydra Life intends to prep, hydrate and refresh the skin. Their new sorbet formulation is not only sensitive skin friendly but ideal for the warmer months! Here are the products in the order in which I apply them. 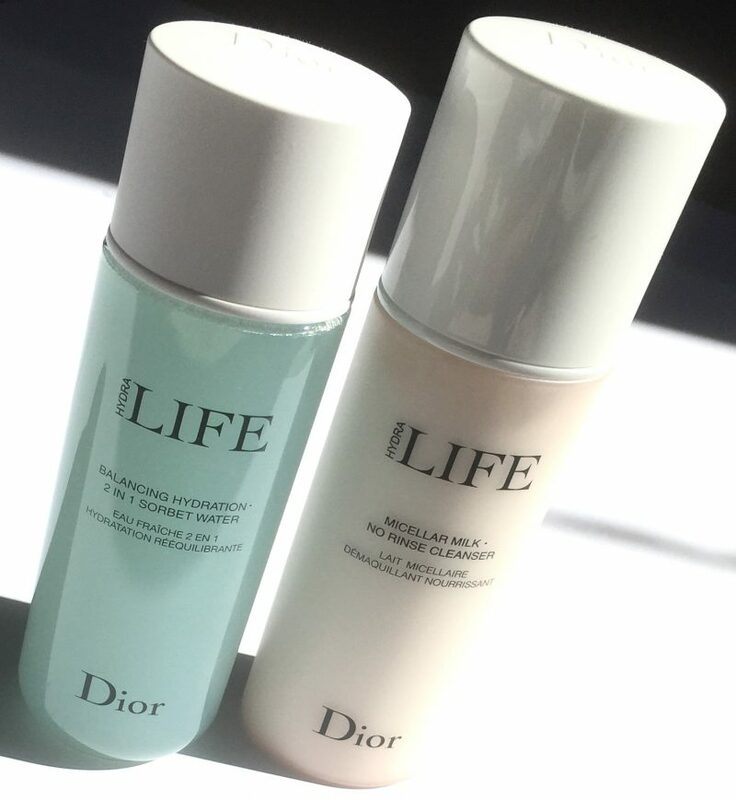 Dior Hydra Life Micellar Milk – No Rinse Cleanser combines the cleaning power of micellar water with the richness of milk. 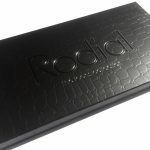 It has a fresh, lightweight texture that transforms upon contact with the skin. It cleans and removes remnants of oil and makeup, while nourishing the skin. I apply it using a facial pad and love the suppleness it leaves behind. Suitable for all skin types, this is definitely an all around favourite! The No Rinse Cleanser retails for $49 CDN. 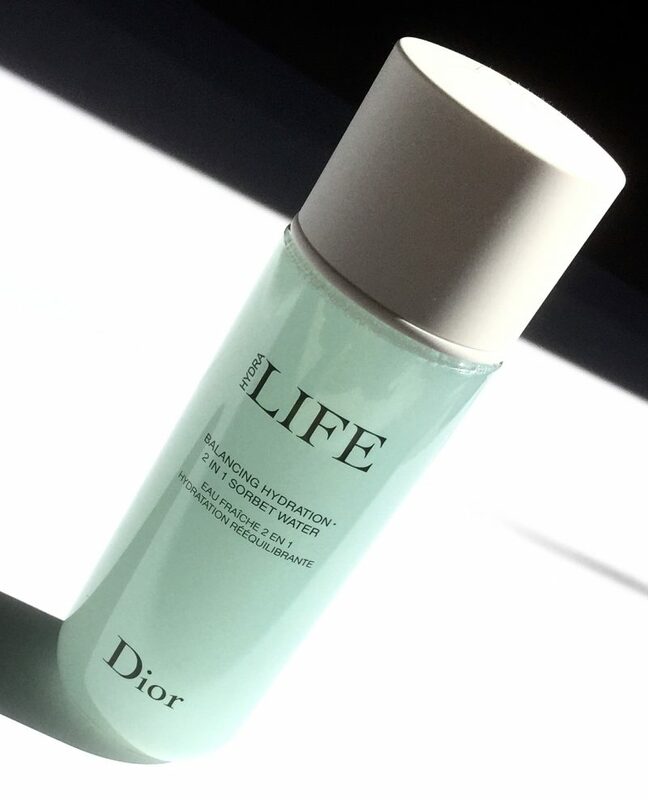 Dior Hydra Life Balancing Hydration – 2 in 1 Sorbet Water is to be used post-cleansing to reduce the appearance of pores, inflammation and excess oil. I have definitely strayed away from traditional toners, as they do more harm than good to my skin. That invigorating feeling is not necessary to ensure a deep clean. Opting for more water based products has truly helped my skin heal. The 2 in 1 Sorbet Water retails for $52 CDN. 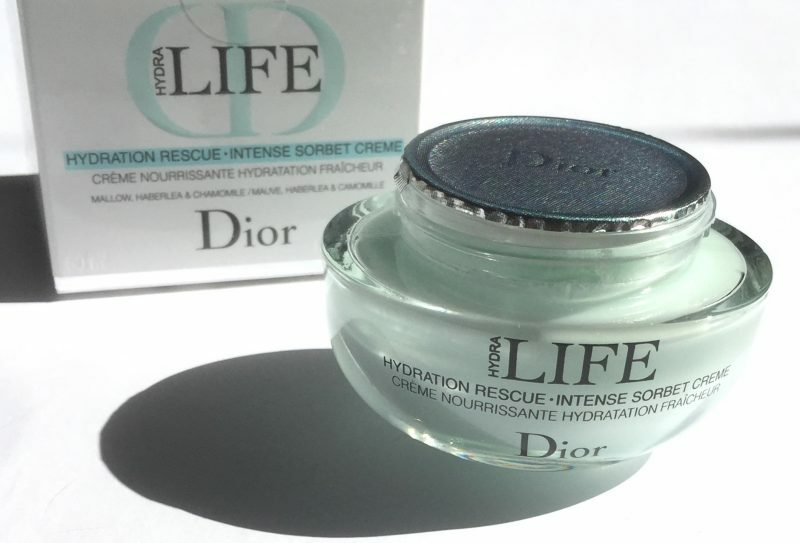 Dior Hydra Life Hydration Rescue – Intense Sorbet Cream as its name describes, intends to rescue the skin. Combatting concerns such as dryness, dullness and uneven texture. With ingredients like mallow butter which deeply nourishes and Chamomile extract which soothes irritations. The Intense Sorbet Cream can also be used as a night mask. My skin remains moisturized all day long, which for the record is rare. Often ‘gel’ or non-traditional cream formulas absorb too readily and dry patches reappear on my temple and the high points of my cheeks. The Intense Sorbet Cream retails for $82 CDN. 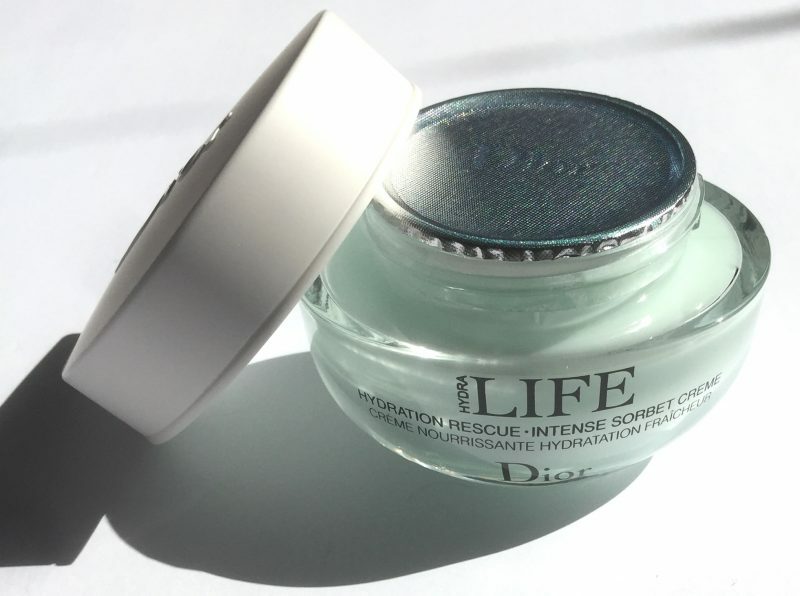 Dior Hydra Life Cooling Hydration – Sorbet Eye Gel is by far the one product that has delivered the fastest results. Packaged in a squeezable tube with an angled applicator that hugs the contours of the eye. It delivers an ice cold sensation that almost instantly refreshes and helps the eyes to look more awake. It contains ingredients with anti-inflammatory properties to help reduce puffiness from the under eye and lids. As well as mineral powders to correct the appearance of dark circles. The Sorbet Eye Gel retails for $70 CDN. 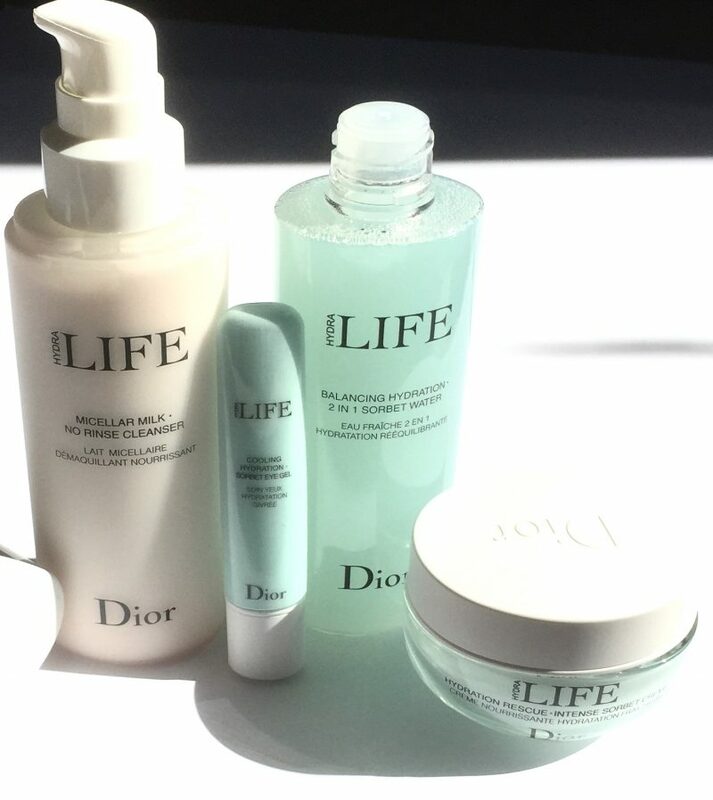 Hydration is the root of this collection and it definitely delivers! 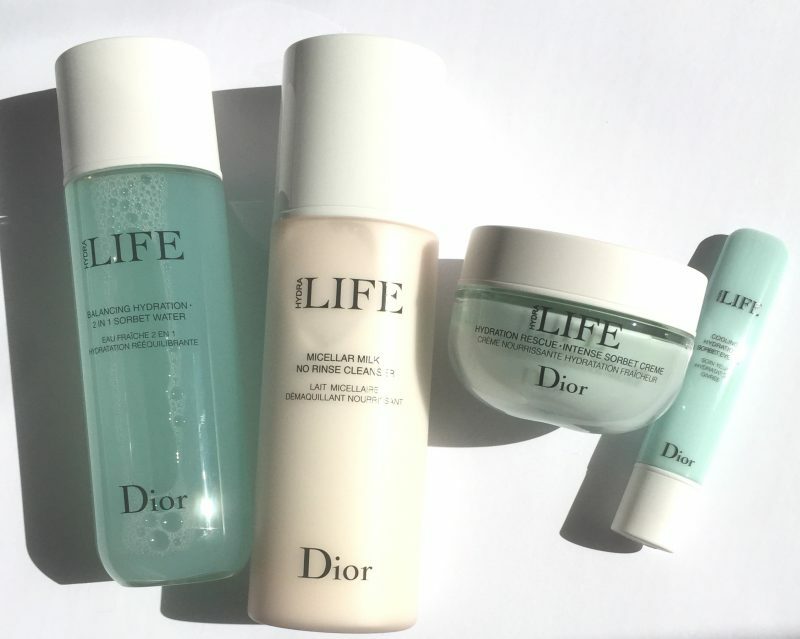 Dior Hydra Life adds lost radiance back into the skin. My complexion feels thoroughly cleansed without feeling stripped. 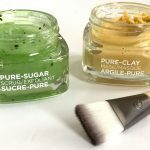 I have been able to use the entire collection for a few months now and have not had to fear that all this moisture might cause my skin to become congested and breakout. 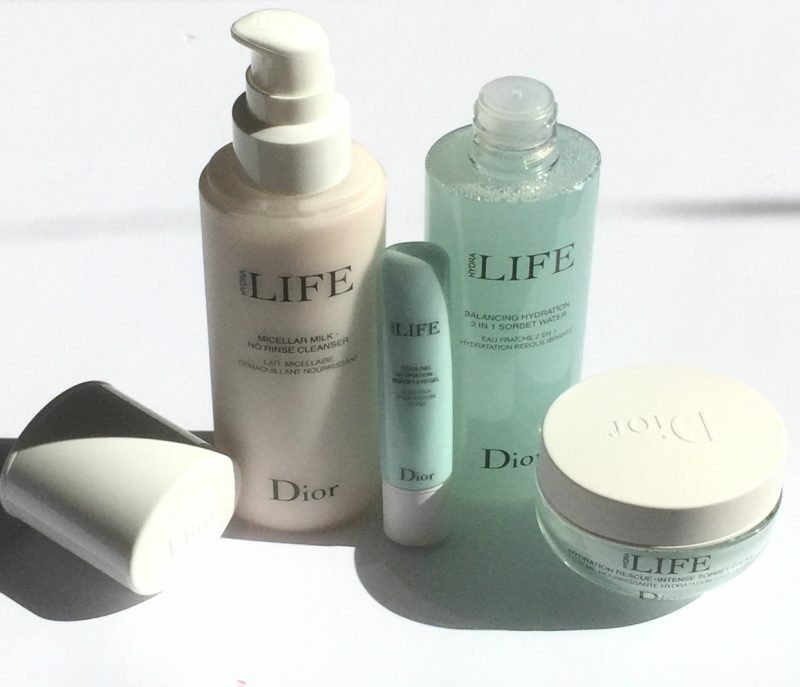 The Dior Hydra Life Collection is available at all Dior counters, Hudson’s Bay, BeautyBoutique by Shoppers Drug Mart, Nordstrom, Sephora, Holt Renfrew and Saks Fifth Avenue.